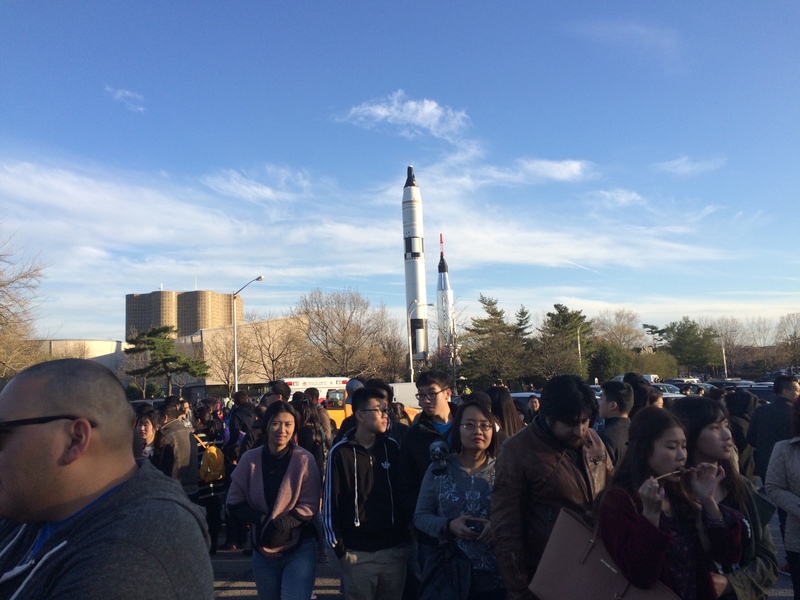 Residents from all five boroughs made their way to the parking lot of the New York Hall of Science last night to partake in the first Queens International Night Market. Privately sponsored, last night’s kick-off event is scheduled to be the first of many, slated to run every Saturday night from April 25th to October from 6PM – 12AM (rain or shine). 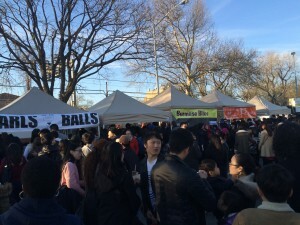 Although unsuccessful in their initial kickstarter campaign, attorney John Wang and his team were unable to secure their initial planned location, surrounding the world famous Unisphere in Flushing Meadows Park (centerpiece to the 1964 World’s Fair), however they were able to host their event in the parking lot of the New York Hall of Science, off the 111 st. stop on the 7 train. Considered one of the most ethnically diverse boroughs in the nation, Queens is home to over 2.2 million immigrants, (per the Times Ledger). Within those numbers, many come from countries where night markets are the norm, especially within Asia, however there are some South American and European countries that host night markets as well. The US Census estimated that back in 2013, 25%+ of Queens’ population would be Asian, while 28% would be Hispanic. Additionally, census information indicated that 75,728 new immigrants settled in Queens between 2011-2013, which is higher than originally anticipated, as reported by the New York Daily News in 2014. 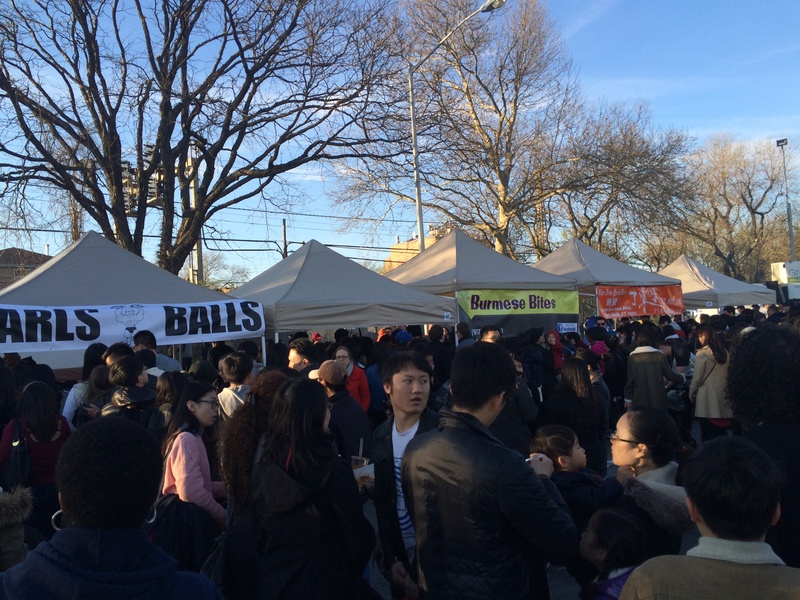 I’m glad we did not go to the #queensnightmarket with the kids. Our friends left when they saw the lines. From speaking to volunteers at the event, we were informed that some food vendors cancelled at the last minute, leaving a shortage of food suppliers and with electrical issues, some vendors were not able to run at full steam, however, despite these challenges, they were able to secure food vendors representing countries from Japan, Burma, India, China, Italy, Colombia, Mexico, Taiwan, and Turkey, although most of the food represented were from East Asia. 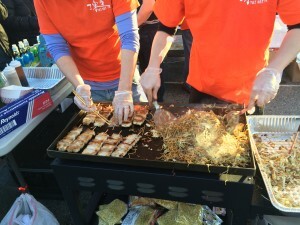 Due to the overwhelming viral nature of the Gothamist article, released the Friday before the festival’s soft launch, many excited New York residents reposted the piece throughout social media, getting the word out, however due to the massive popularity, many felt overwhelmed by the lines and decided to get their food elsewhere. 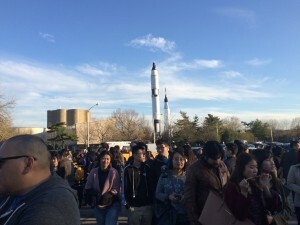 Although the location was great (10 minute walk from the train station, with the US Open’s Author Ash stadium in the distance and the looming space ships from the New York Hall of Science), the slight inconvenience of 7 train maintenance work bypassing the 111 street stop for all Queens bound riders, and the overwhelming response of food enthusiasts, some of the QINM staff were concerned over possible negative press due to, what would have been perceived as, ill preparedness by the organization. As of this post, currently Yelp ranks it with a 2.5 stars out of 5 (with 3 reviews), and Facebook logs in at 2.9 out of 5 (with 30 reviews). Lock down your social media presence. Currently your logo lists you as the “Queens Night Market”, yet your facebook and your press is marketing you as the “Queens International Night Market”. It may seem inconsequential, but in respect to consistency and metrics, there’s a big difference, particularly with your SEO. Also, you need to place signs with a chosen hash tag, encouraging those to post on social media. If you leave it to chance, most people who are not savvy will not tag your organization or hash tag your group’s name. That downgrades your social media performance metrics and means lost promo for your group and your vendors. Also, it’s surprising that at your first launch, your instagram account didn’t have any pictures of your event, nor did your twitter or facebook accounts! In this day and age, you really need to have a strong guided social media presence and not leave it to others to build one up for you. Inform your vendors that they MUST USE GLOVES when distributing food. We caught at least one vendor that did not and that’s a health violation large enough to close your entire festival down. Although port-o-potties are expensive, we estimated your crowd size was approximately 5,000, give or take, which would have required you to have 36 facilities on site. We counted 7 on site. I know this sounds ridiculous, but it’s a necessary evil. You may want to consider a better predefined space. Currently your event space went from parking lot to tents in a matter of 5 feet. Organization is key and crowd control wasn’t visible. I didn’t see any security either. Due to the length of all your lines, it should have been necessary. Outside of Asian and East Asian food influences, you may want to reach out to the Greek community in Astoria, the German community that still exist in Maspeth and Glendale, Irish establishments in Sunnyside, and the Filipinos community in Woodside. You should also reach out to the Caribbean and African communities in Jamaica and St. Albans, and Argentinian establishments in Elmhurst. If your group proposes to represent all of Queens, all (or as much) of Queens should be present. With that being said, Christine Joseph from Citrus Concepts, my compatriot in last night’s journey and I were unable and unwilling to stand on line for 30+ minutes to get a sampling from any of the vendors, like many others who also left empty handed. 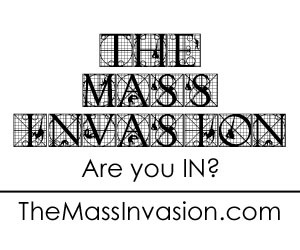 Although, we plan on trying again next week (most likely with Shanis Navas of Urban Inspirations NYC joining us), and hopefully part 2 will provide more offerings than part 1.
Who knows, perhaps I may throw my hat in the ring to perform one night.